Who are you? Are you simply a sum of hours you spent behind a desk? Are you the all-nighters you spent in college to ace the final? Are you just another face in an endless sea of online applicants and competing profiles? Of course, you’re not, but the world may think you are. Now more than ever, individuality is being cherished at the workplace. Companies and CEO’s want to know what you can bring to the table, not just what someone with your qualifications can do. Think of it this way. Two candidates apply for the same position with resumes of similar strength and quality. Clearly, the hiring manager has a tough decision to make, or do they? Applicant one has been maintaining a blog on their field (and has even included the company in question in a few articles), is constantly tweeting and retweeting new and engaging ideas about the industry, loves morning jogs along the East River, and is a noted animal lover. Applicant two…has a good resume. You do the math. Here are 5 reasons why building your own personal brand, is vital to your business success. 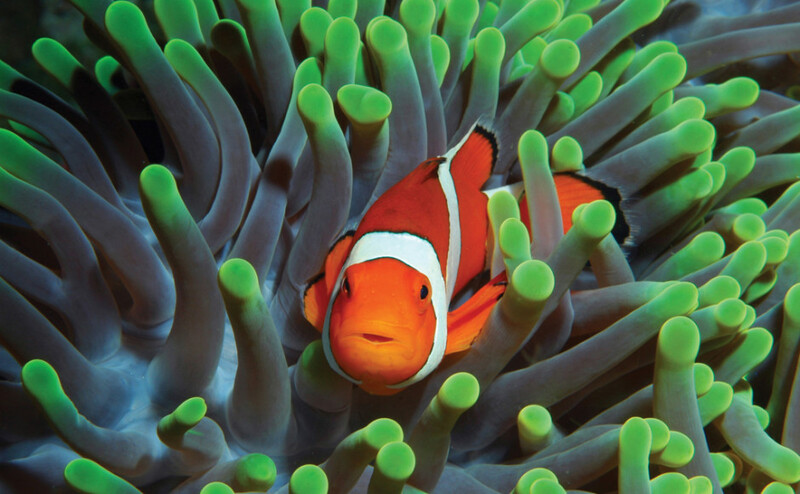 Just as the Clown Fish and the Sea Anenome live in symbiosis, so too must your business. It may seem obvious, but you’d be surprised how many people don’t connect these dots. The more successful your career is, the stronger your personal brand becomes and vice versa. The two concepts work in tandem to develop your identity in the workforce. The most important thing to take away from this is the perception a strong personal brand can give to potential employers. Being able to brand yourself intrinsically implies leadership qualities that many, if not all, employers will find attractive. Enhancing your personal brand will open opportunities for you to grow your career, and when your career grows you will naturally want to cultivate your image. The more success you find in your personal brand, the stronger your leadership qualities will become. Stand Out, And Get That Job. You are the only you in the world. Building your personal brand will give you the edge over the competition! More often than not, this is the name of the game. If you’re a young person in the workforce, maybe just out of school, I’m sure you’ve been told to “watch your social media profiles.” Fact is hiring managers are patrolling the net and using social media to make their decisions. Instead of only focusing on untagging yourself in every questionable photo, running from the digital boogieman, use your profiles to your advantage! Make a professional Facebook, Twitter, and Instagram and show these companies why you’re special. According to the SHRM, a whopping 84% of hiring managers use social media to recruit. From that majority, over half use Twitter to find potential candidates. When You Grow, Your Business Grows. The more recognized your personal brand becomes, the more consumers will want to buy your products, simply because you’re the one making them. Ok so forget the job hunt, you’re running your own business. Well, guess what? Your personal brand is as important as the products you produce, or the services you provide. People today want to do business with people, not just corporations. Your personal brand is what distinguishes you from just another competing company in the rat race. The stronger and more active your brand is, the more you will lead the pack in your industry. A strong business will always stand out in a crowd, a strong personal brand tied to that business will make you naturally keep your standards high. After all, no one wants to personally look bad, right? Make your clients want your services because they come from you. That is something no competitor can ever replicate. Well, at least until we make some advancements in the cloning industry. Spend less time chasing down business, contacts, and partners. Instead, focus on building yourself up, and opportunity will come to you. As I said in point three, people like to do business with people. The more attractive your personal brand is, the more likely you are to be approached by any number of potential connections. This includes but certainly isn’t limited to, customers, vendors, employees, interns, partnerships, collaborations commissions, consultants, press, companies looking to hire, and even invitations to speak at events. The possibilities are literally endless. The more you put yourself out there, the easier it is for people to get excited about who you are and what you do. It goes without saying this will boost your online networking potential, but it also spills into your in-person abilities as well. Everyone has a story to tell, your personal brand is a summation of yours. Don’t be “sales guy #2099,” let your personal brand as multifaceted and interesting as you are. The stronger your brand becomes, the more confidence you will gain. Confidence is a great tool to display one’s worth and expertise, people flock to it, which also helps reinforce your leadership qualities. Utilizing the unique voice of your personal brand will make networking and marketing feel completely natural, even if you are a bit introverted. This point isn’t solely restricted to your professional life. A strong personal brand will give you an avenue to meet new, interesting, influential people. Maybe your businesses aren’t compatible right now, but someone finds you intriguing enough to add to their contact list. From there you meet up, you network, and even establish a friendship. Suddenly that person has a friend who needs a particular service. Lucky for them, they just made this awesome new friend (you), who can do just that. Who knows, you might even be able to get a date. Find Your Focus, Find Your Success. Never be a jack-of-all-trades and a master of none. Find what you’re good at, and work until you’re great at it. Your personal brand is not only a collective of all the things you have done but includes all the things you will do. Like anything in business, you cannot afford for your brand to be stagnant. It needs to be ever flowing, evolving and changing. Are you the same person you were five years ago? No, well why would your brand be? Use your brand to craft a narrative about your life, career, and interests. Explain why those prior experiences have lead you to what you’re focusing on now, and why you’re even better than before. This sort of career introspection may lead you to open doors you were completely missing. Perhaps you were neglecting one aspect of your business that you realize you should be focusing on. Conversely, perhaps that project you have been spending too much energy on is actually pulling you in the wrong direction. By constantly revisiting your personal brand, you can ensure your focus is where it needs to be, to bring your career to where you want it to be. So there you have it. 5 reasons why you need to start building up your personal brand today. You owe it to yourself to get your name out there! After all, who’s better than you?